The 2012 Canadian copyright reform law featured several “made in Canada” provisions that the Conservative government touted as striking a better balance than rules found elsewhere. At the top of the list was the notice-and-notice system for Internet providers. Minister James Moore (then of Canadian Heritage and later Industry) specifically cited the Canadian system as an example of how Canada had “rejected the American style approaches on massive parts of our legislation.” Yet a close reading of the leaked version of the Trans Pacific Partnership intellectual property chapter suggests that Canada may just have agreed to establish a copyright takedown system. The preservation of the notice-and-notice was a top copyright priority for the Canadian government, so much so that it caved on copyright term extension and implemented digital lock rules that were widely criticized by the Canadian public. However, the negotiators may have failed to keep a notice-and-takedown system out of Canada. 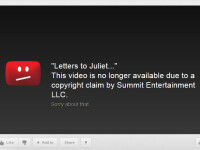 Section I of the copyright chapter creates a U.S. style notice-and-takedown system. The Canadian solution was to create a special annex that provides an alternative to the U.S. approach. While the annex was designed specifically for Canada, it would appear that it fails to prevent copyright takedowns from coming to Canada.